This project was phase 2 where the customer extended their operations by taking the building adjoining the existing unit. 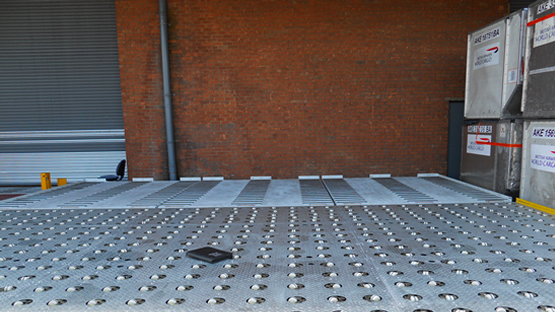 A large customer had been acquired that required caster decking being installed airside and a mixture of caster decking and GRC roller beds internally. The project plan also called for a 10-foot scissor lift to be refurbished and another scissor lift to be re-sited within the building. 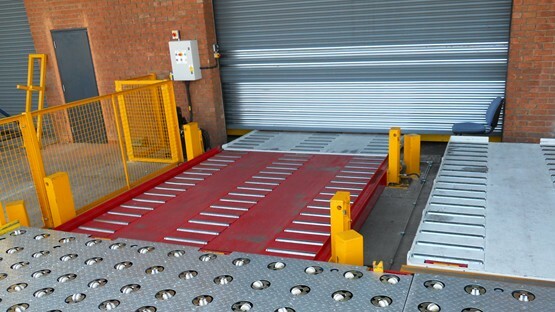 In the initial project plan received from the customer there was a call for the supply of a 10ft Scissor lift to take the ULD’s from the outside caster decks (508mm high) to the internal floor mounted decks (290 mm high). Armkor were able to suggest to the customer that to save costs a “Four Poster Lift” be used. 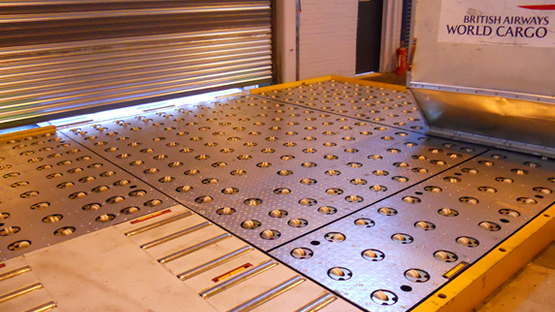 This a lift with a GRC roller top deck with 4 hydraulic rams at each corner. Due to part of the works being carried out “Airside” at London Heathrow Airport (HAL). Due to Armkor having airside accreditation we were able to apply for the required installation permits in conjunction with HAL’s property surveyor’s department and also perform the installation as Armkor’s personnel are fully security checked and hold full access airside passes at London Heathrow Airport.